Central Algarve is the ideal location for those in search of guaranteed sunshine, sandy beaches, golf courses, villa catering and waterfront restaurants. 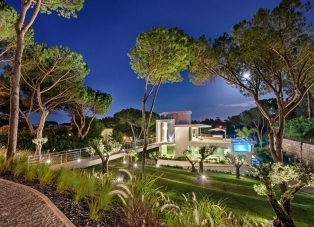 The well-established resorts of Vale do Lobo and Quinta do Lago provide the perfect back drop for your holiday rental whether it be in an apartment, townhouse or luxurious villa. You can browse our selection of holiday accommodation below via your specific requirements. You can also email us with your requirements and we can recommend the best options for you based on what you want. All of our staff have visited Quinta do Lago so feel free to speak to us if you need help deciding. Browse our extensive selection of properties to rent online at your leisure. In vale do Lobo you have Barringtons, a very comprehensive health and leisure centre located within this resort aswell as a large tennis centre that hosts a number competitions for both ammature and experiences tennis players. 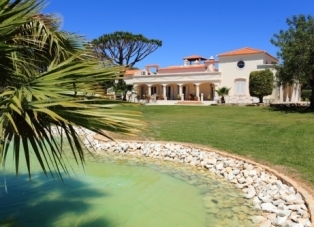 The golf courses within Vale do Lobo are of a very high standard and top of many golfers list of courses to play. The Praca at Vale do Lobo has a number of restaurants, bars and late night clubs to entertain all ages and just a few steps from the golden sandy beach aligned with sunbeds where you can enjoy the many days of sunshine the Algarve benefits from. Sun lovers will be spoilt for choice with beaches and sunshine. The region benefits from blue flag beaches, approximately 200km of coast line ranging from coves, rocky beaches, cliffs and wide expanses of sand and a mild climate throughout the year with temperatures ranging from approximately 15 degrees in the winter and 30 degrees in the summer. The great climate also benefits the sporty types and the regions fantastic choice of golf courses makes it the ideal destination. Golfers will not be disappointed with the abundance of courses; two of the most luxurious resorts in the Algarve are Vale do Lobo with two 18 hole championship golf courses and Quinta do Lago with no less than 4 courses. Other courses can also be found in Vilamoura and Vila Sol. The golf courses in the Algarve offer spectacular landscapes, favorable climate and meet the needs of Golfers at all levels. Other excellent sports facilities are also available for the sport enthusiast such as Tennis, with the Vale do Lobo Tennis Academy and the Jim Stewart Tennis Academy in Quinta do Lago, with other tennis courts and coaching available throughout the area such as in the centre Dunas Douradas. There are many other sporting activities readily available such as Horse Riding, Water Sports, Football, Gymnasiums and so much more. For those looking for a relaxing holiday and wishing to indulge in a little pampering there are a great selection of Spas available throughout the region, for example the famous Barringtons Resort and Spa in Vale do Lobo. Families are very well catered for with a variety of Kids Clubs, theme parks and activities available as well as very secure resorts that benefit from 24 hour security to ensure that your holiday is a safe, relaxing and peaceful one. The Algarve is also home to the Ria Formosa Nature Reserve that offers diverse landscapes and species of flora and fauna for all ages to enjoy and discover. You can follow the nature trails, of which there are two in Quinta do Lago, to learn more about the various species that inhabit this unique lagoon system spanning approximately 18,000 hectares. You will be able to explore the culture of the region including its distinctive architecture, handicrafts and painted and its broad and diverse heritage that gives way to customs dating back centuries. In the Algarve you will also be able to have a taste of the region through the local cuisine as well as experiencing other cultures with the vast array of international cuisine that is on offer. You will find restaurants within the resorts of Vale do Lobo, Quinta do Lago and Dunas Douradas with many more choices in other towns of nearby Almancil and Vilamoura. To make the most of the local attractions and what the Algarve has on offer, you may wish to consider car hire so that you are free to enjoy the region at your own pace. With so much to do in the Algarve including sporting and leisure activities, casinos, marinas, bars, cafes, restaurants, theme parks, shopping centres, beaches and so much more, you will find yourself returning again and again.